So back from our March trip, which was amazing!! We went to 4 locations. 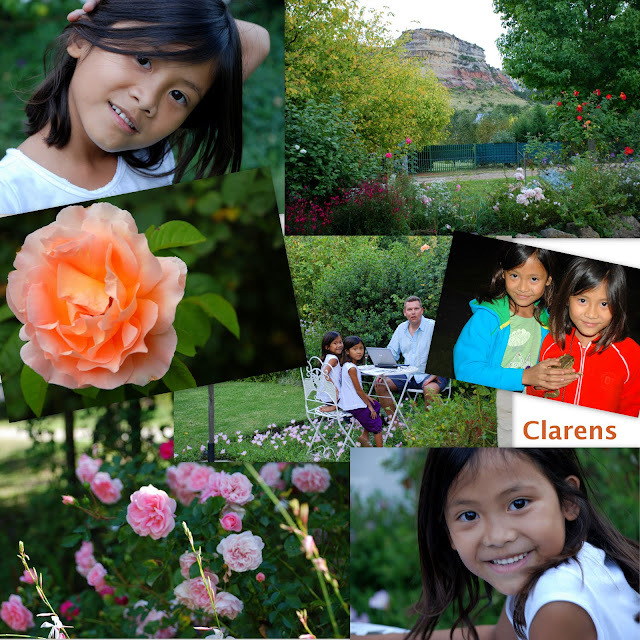 The first stop was Clarens, which is situated in the Clarens Valley is in the Eastern Free State Highlands about 20 km's from Golden Gate. It's an artsy town with cute little galleries and we stayed at this adorable B&B Millpond House with its beautiful gardens on the foot of the mountains. Just one night since we were on our way to Umngazi river bungalows. Situated on the magnificent Wild Coast, close to Port St John. We stayed here for 3 nights. 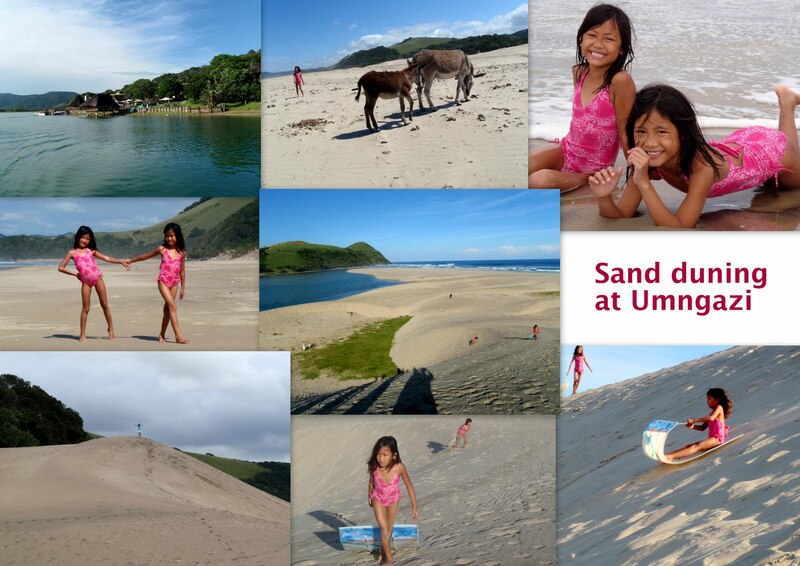 A beautiful location directly on a river, then a bit of sand and HUGE dunes and then the ocean. Just a magical spot and the girls particularly LOVED it because they went SAND DUNING, how fun was that!! Really so much fun to slide down these huge dunes on a plastic board.... It went fast but the girls were PRO's, they showed all the other kids how to do it!! Really a nice stay, although the weather was only sunny 1 day, so a bit unlucky there, but we still had a fun time!! Going for boat rides and sand sliding, the girls were in heaven! 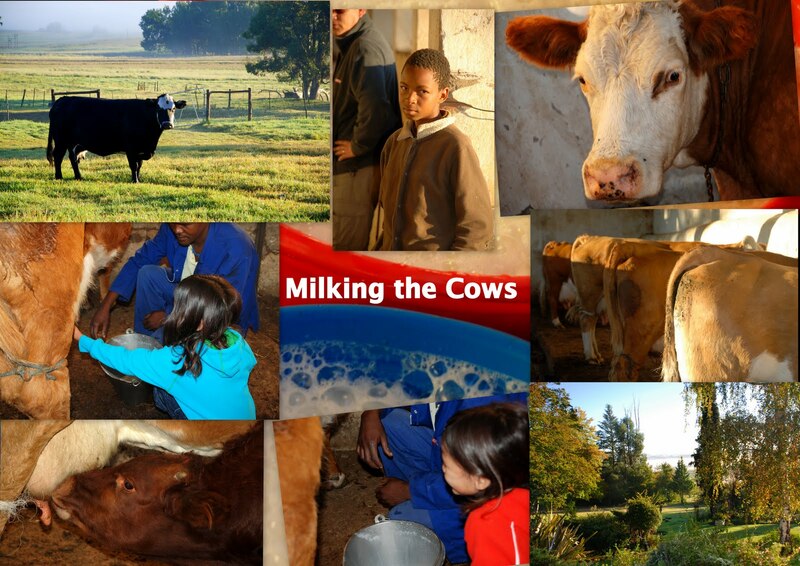 Then up to Willowdale lodge, a real working farm. Over 120 years old, this Historic Farm Lodge is situated right on the N2 mid-way between KZN and the Eastern Cape. The girls were excited to stay here, since we could do some cow milking!! Well, we tried it but the girls had a hard time getting the milk out, so the farmers had to help us! But the location and the farm house was just magical, between the hills and valleys we had the most gorgeous views in the mornings when the sun came up and the mist was hanging in the valley, just breathtaking!! The farm house had huge gardens with apple, pear, fig and persimmon trees which we could help ourselves as much as we wanted. Juliet and Jasmine were so happy to play with all the doggies they had, and we did lots of reading and hiking in this area. Very relaxed stay, and the food was so delicious, we really loved the ambiance of this little guest house! And then last but not least, we went to the HIGHEST mountain lodge in SA!! Spectacular location!! In a remote region of South Africa, three mountain ranges meet – the Drakensberg, the Witteberg and the Maluti Mountain Ranges. In this spectacular place lies a very special hideaway, where the hand of man has brushed - but lightly. Tenahead Mountain Reserve is hidden in over 3 500 hectares of unspoilt mountains, valleys and streams. It holds a treasury of flora and fauna and it is the perfect place to experience romantic mountain hospitality. WOW, this was such a gorgeous drive to this beautiful lodge! We had to drive for almost 2 hours on a gravel road to reach this very special place, but it was so worth it!! We did horse back riding, but I mean horse back riding to a different level!! We felt like the cowboys and Indians riding on our horses with several WILD horses joining us, running besides us while we were on top of the world. Only mountains and valleys, little streams and huge rocks, birds galore and the sun shining. 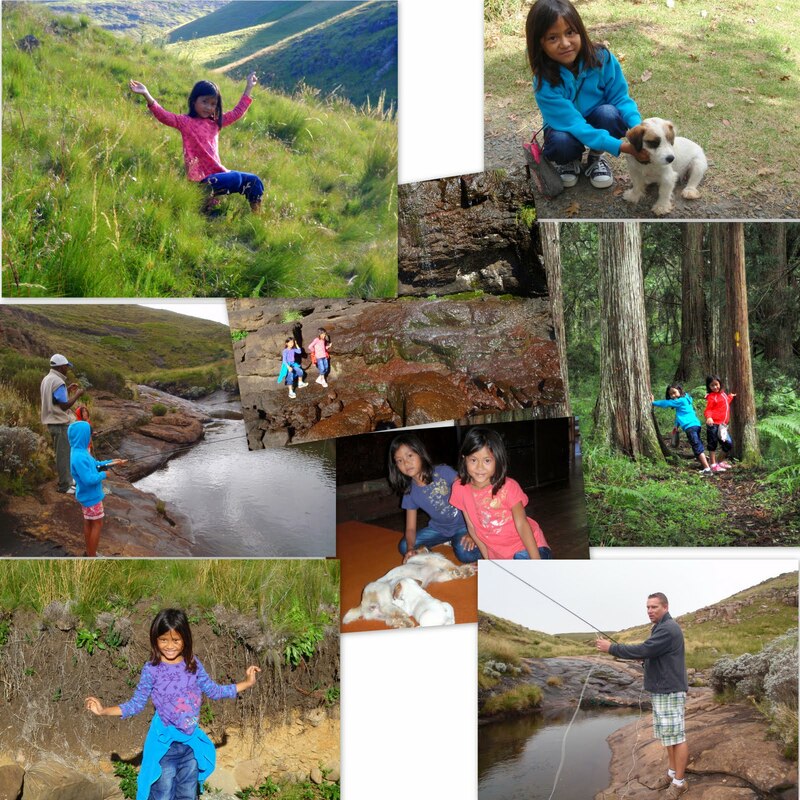 Nothing else than pure nature at the height of 2580 mtr./8500 ft. This was an amazing experience for all of us!! 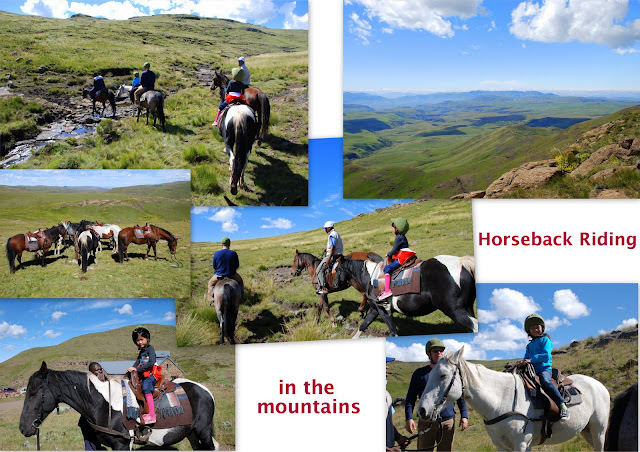 We all did some horse back riding, but you ride some circles or small rides into the forest, but this was just US in the mountains, as far as you can see nothing, we were away from society and the rest of the world for HOURS driving. It was magnificent!! 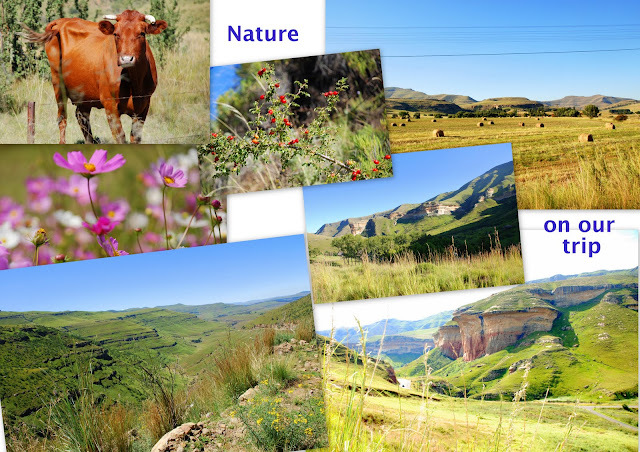 We hiked, read magazines and books, sipped some wine on the deck overlooking the mountain ranges and also the girls and Dirk did some fly-fishing while I was photographing the flora and fauna, which is really beautiful and so different than the bush veld we are used to. The lodge was so contemporary and Eco-friendly decorated, I love that style! It was only build 5 years ago by this Dutch couple who wanted to go and live there themselves but then couldn't handle the high altitude and got sick from the thin air. So they turned it into a 5star lodge, with only 7 bedrooms and sold it to Nadine en Leon who were our hosts. Very intimate and we got every night a 5-course dinner, which was delicious. We felt spoiled to be in this special location!! AND in winter they will get over 2 meters of SNOW, so we can come back and ski!! Wouldn't that be fun to ski in AFRICA?! Tenahead Mountain Reserve lies in an area of Southern Africa that receives more snow than anywhere else in the region. All in all, we had a GRAND vacation, with lots of driving, in total 2500 km/1500 miles in just 8 days, but FUN, FUN, FUN!! Now back to 'normal' life, school, work, and for me all my activities to keep myself busy! !